Sewn on tags can pose interesting problems and be out of scale with accessories, or problematic in very open fabrics or reversible ones. One possible solution may be sew on “beads” created with baked and stamped polymer clay or shrink dink plastic. I as yet have not tried the former. 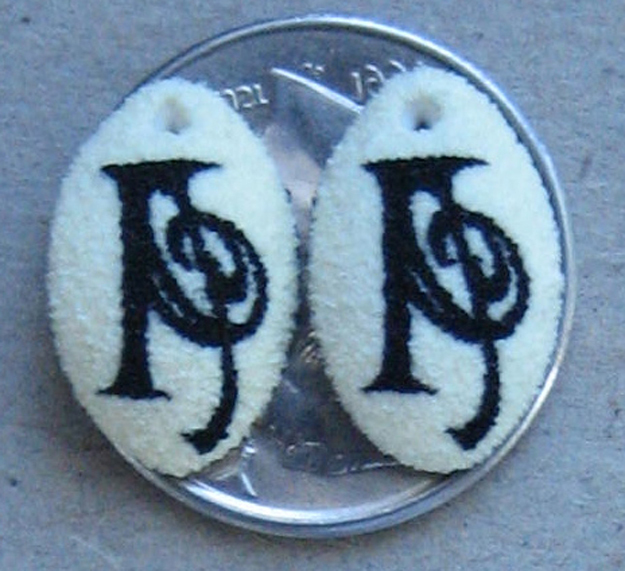 Here is a photo of my “brand” initial on the white shrink plastic taken with 2 of the “beads” placed on an American dime for scale comparison.